HAVE MORE FUN IN YOUR LIFE! 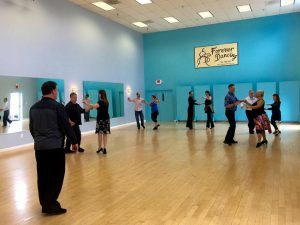 Forever Dancing Ballroom group classes offer currently the following: Argentine Tango, Salsa, Swing, Rumba, Cha-Cha, Bolero, Mambo, Samba, Foxtrot, Waltz, Quickstep, Tango, Viennese Waltz, Zumba, Bachata, Merengue, Aerial Dance. We recommend all students to take group classes in conjunction with private lessons for better learning and further advance. Click here for private lessons. Start now!!! Group Lessons everyday $10- $17 each. (depending on the group class). For $199 you can become a Forever Dancing Group Class Member (click here! 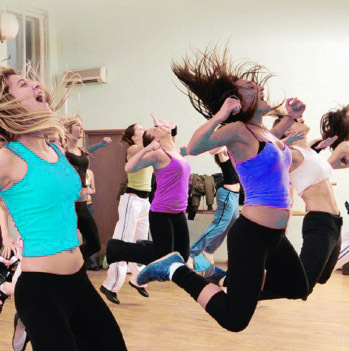 ), and have access to take any dance class available on the schedule. Click on the dance class of your preference to see starting dates and prices. HOW DO THE DANCE CLASSES WORK? 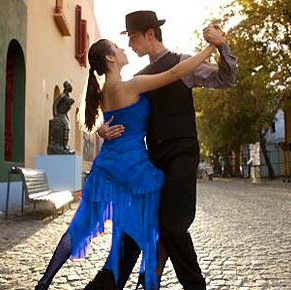 Most of the dance classes are organized in a progressive series of 8 dance lessons covering one chapter of the level pertinent to the class. Every week the dance instructor will review the previous lesson and add more dance figures, technique, & practice about the same subject. On week 4 the topic within the same chapter will change slightly, giving new students the opportunity to join the class. Students may choose to continue studying the same dance in the next series with a new subject/chapter or move on to the next level. In the carousel above you will find Forever Dancing Group Classes Menu for you to choose, simply click on the class of your preference, you will find links to registration there. If you are not sure what you need click here! The instructors will recommend partners rotation throughout the class so that everyone gets more experience dancing with different people. If you would rather not switch partners, please contact the instructors beforehand. Drop-ins on the first 2 weeks only, or with instructor permission. For completion of each level and, or, fully understanding of the material, each level is recommended to be taken several times. Walk-in registrations will be accepted on the first two nights of any series on a space-available basis. You should wear dance-compatible shoes to class: something that will stay on your foot, and something that pivots easily: thin leather soles are ideal for this. No black, rubbery soles. If you have a pair of dance shoes, wear them, but they are not necessary. Forever Dancing Ballroom is near Lincolnia, VA; Jefferson, VA; Falls Church, VA; Annandale, VA; Arlington, VA; North Springfield, VA; Franconia, VA; Idylwood, VA; Springfield, VA; Alexandria, VA; Groveton, VA; Washington, DC; Tysons Corner, VA; West Springfield, VA; Vienna, VA; with the best Dance classes and instructors of the DC Metropolitan Area.